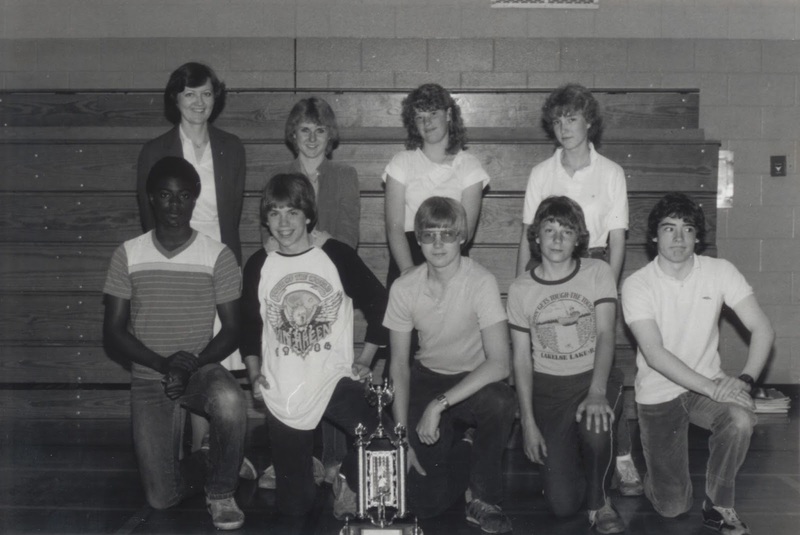 I believe this was the Grade 9 Debate Club at Leduc Junior High School. In the front row we have Nevin Pottinger, Jason Hewitt, Mark Lede, David Ruel, and me, looking off-camera at something - I wonder what it may have been? Michelle Wilson is standing at the far right in the back row, but I can't remember the names of the other women. Too much time has passed. I believe this was the year I was named Top Speaker at the provincial debates. It came as quite a shock!